Communicate, connect and build brand loyalty through easy-to-use posting and scheduling that creates meaningful social engagements. 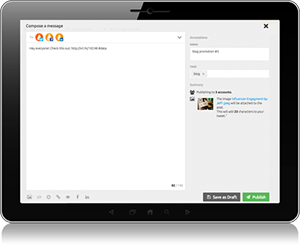 Drive traffic, conversions and engagement by posting to over 10 social media channels from one, integrated platform. Posting to social networks has never been easier. Schedule content to share with your community in advance. Our drag-and-drop interface makes it easy to share rich media. Identify the people talking about your brand who have the most social influence and largest networks. Identify powerful influencers by impact, followers and volume of posts. See Twitter handles, Facebook profiles, hobbies, and interests within the dashboard. Address influencers who speak negatively about your brand. 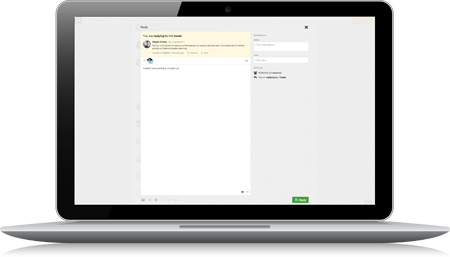 Protect social accounts by inviting team members to custom organizations, setting individual permissions and assigning tasks. 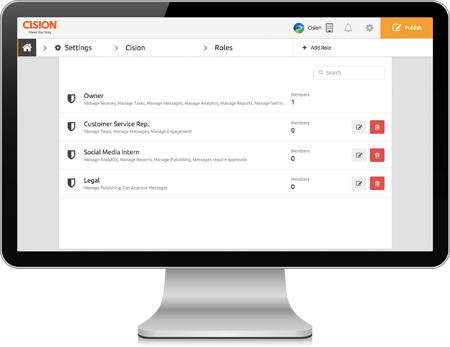 Create and manage organizations for a particular team, company or product line. Clearly define responsibilities and deadlines to keep your entire team informed and accountable. Protect your accounts by restricting or granting access to chosen team members.